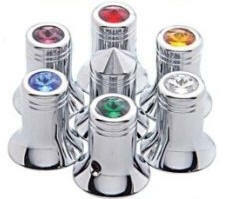 Jeweled Chrome Radio Knob kit for your CB radio. 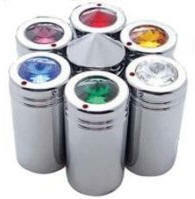 Made from heavy metal and real chrome plating, not some plastic with chrome paint. *** WARNING : Application of these knobs requires a soft touch. over tighten them and you will smash your control and cause it to not turn anymore. ONLY tighten the set screw slightly to keep from coming off. If all this confuses you please call TOLL FREE to order by radio model type. 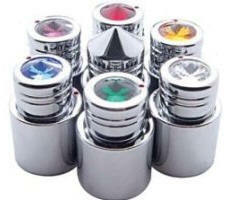 I carry blue, red and sometimes white in stock, all others take lengthy time to special order. *Make sure to specify your radio model exactly and how many of each type of knob you have. The prices above are for the radios listed only, there are many variations of Cobra 29 and 25 that have different prices. For different radios order singles or call to order a whole kit.